We are at the base of the Suthep Mountain, around one kilometer west of the old town on the road towards Doi Suthep, the spectacular hilltop temple of legend. Our apartments are a 5-min walk from one of Chiang Mai's most ancient stone temple complexes, Wat Ched yod. The fabulous Maya shopping mall is a 5-min cycle ride away. Neiman Heiman, Chiang Mai's most chic shopping area - great for fine dining, artisan coffee, high fashion, and shopping is 10 minutes away on foot. Ched yod neighborhood is perfect for cycling around. There is a kitchen on the ground floor that is available for use by all tenants. The swimming pool shown in the photos is a short walk away and charges 80 baht a day for use. Check with Wanchai for availability and location. 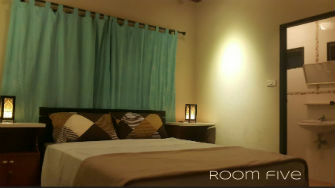 Room One has a double bed, WIFI and high speed internet, hot shower, small balcony, and beautiful Thai decor. 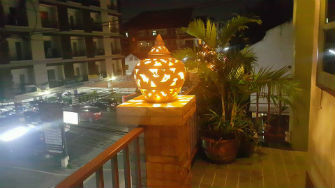 Room Two has a double bed, WIFI and high speed internet, hot shower, small balcony, and beautiful Thai decor. 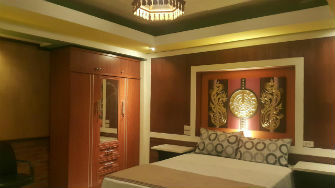 The largest of the Happy Inn Town rooms, Room Three has air conditioning, flat screen TV, WIFI, hot shower and bathtub, small balcony, double bed, and beautiful Thai decor. 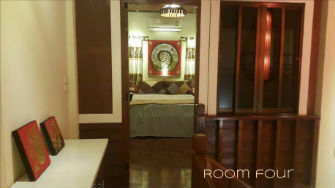 Room Four has a double bed, WIFI and high speed internet, hot shower, small balcony, and beautiful Thai decor. 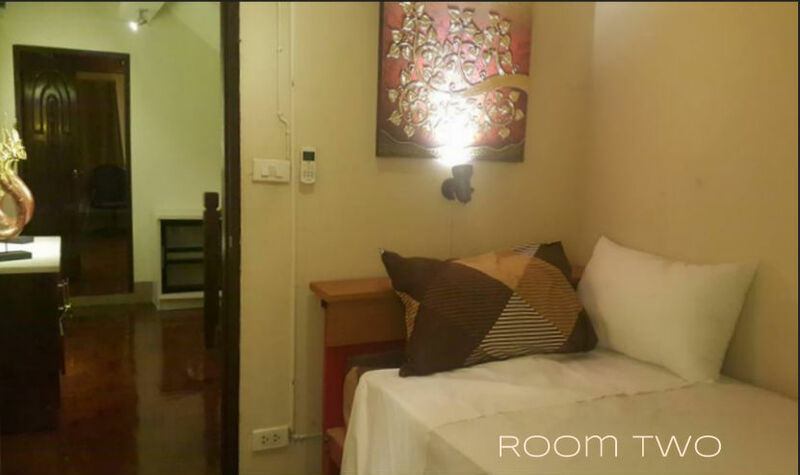 Room Five has a double bed, WIFI and high speed internet, hot shower, small balcony, and beautiful Thai decor.